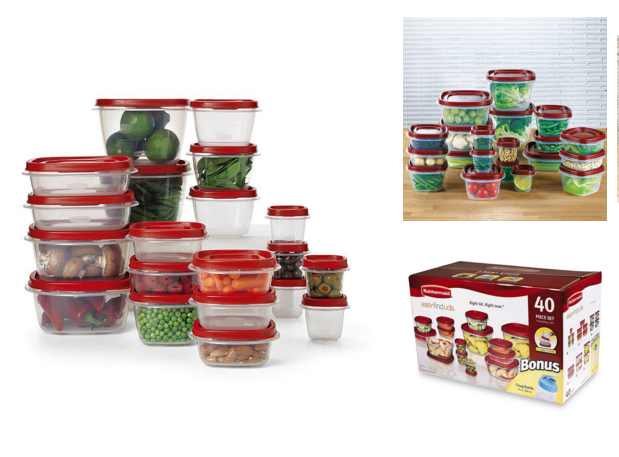 Rubbermaid 40-Piece Food Storage Set Was $26 Now Just $7.50! You are here: Home / Great Deals / Rubbermaid 40-Piece Food Storage Set Was $26 Now Just $7.50! This is a steal! Head over to Kmart.com to order the Rubbermaid 40-Piece Food Storage Set Was $26 Now Just $7.50! Perfect for all your holiday leftovers! Get FREE shipping on orders over $35 or opt for FREE in-store pickup if you have a local location! the Kmart deal for Rubbermaid says $25.99, not $7.50. what’s up? The priced changed. They don’t tell us when they are going to change a price. But,. it might drop again before Christmas. If it does we’ll post it again.